Fight for 15 CT Action & Rally – HARTFORD RISING! Join Fight for 15 CT and Hartford Rising! 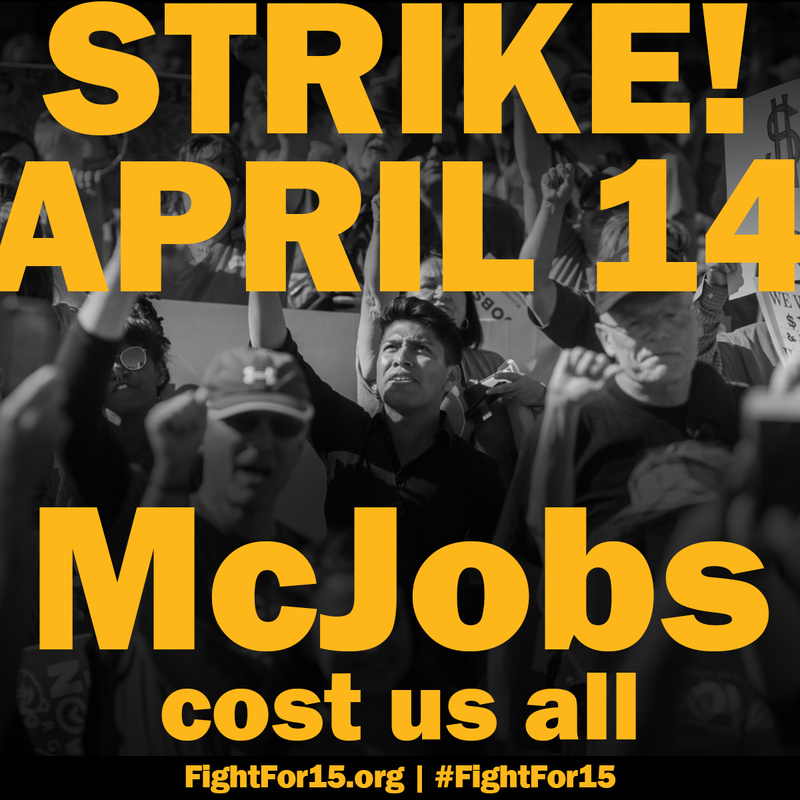 on Thursday, April 14th for as we stand up against poverty wages that hurt our communities! The day will begin with an action at 6 AM in front of the McDonalds at 1303 Albany Avenue in Hartford. This will be followed by a rally at the Legislative Office Building, 300 Capitol Avenue, at 4 PM. Say no more to poverty wages from massive corporations, stand with underpaid workers to demand our legislators and employers raise our wage to $15 an hour! Join workers and supporters from Connecticut on April 14th! Hope to see you there!